Finn family in the house! 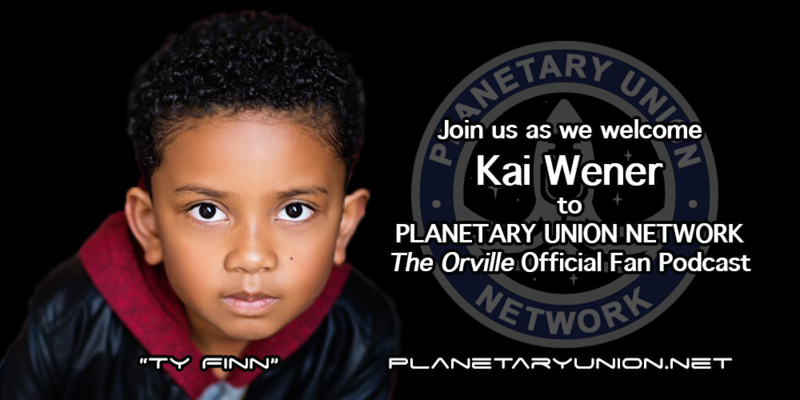 The Planetary Union Network is pleased to welcome the younger Finn brother, actor, Kai Wener (Ty Finn) to the PUNcast! 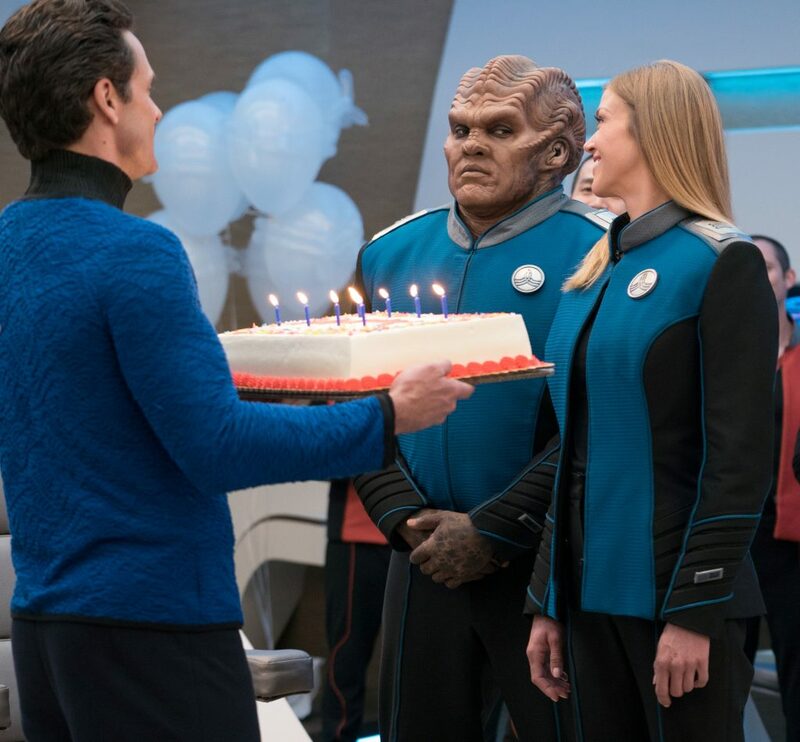 Co-hosts Joe and Michael chat with Kai about life aboard The Orville, piano, and Identity. They are then joined by, special guest co-host, Jon Cassar to discuss this week’s mind-blowing episode (S02E08 Identity Part 1). You can follow Kai on Instagram and Twitter; and you can follow Jon on Twitter. Security to the bridge! The Planetary Union Network is pleased to welcome our new Chief of Security, actress, Jessica Szohr (Lt. Talla Keyali) to the PUNcast! Co-hosts Joe and Michael are then joined by Kevin Daniels (Locar) and chat about this week’s episode (S02E07 Deflectors). You can follow Jessica on Instagram and Twitter. Also follow Kevin on Instagram and Twitter. You will be silent! 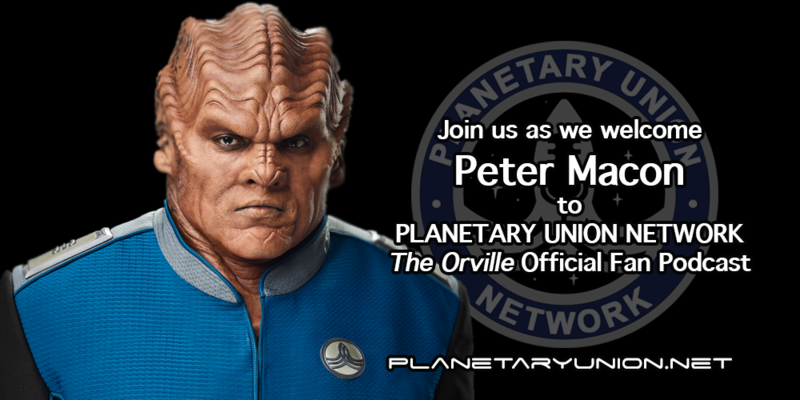 The Planetary Union Network is pleased to welcome, actor, Peter Macon (Lt. Commander Bortus) to the PUNcast! Co-hosts Joe and Michael chat with Peter about theatre, Minneapolis, The Orville, Moclan anatomy, and so much more that you’re just going to have to listen to find out about. You can follow Peter on Instagram.